LEXINGTON, Ky. (Sept. 24, 2009) -- Today, for the first time ever, the annual State of the University Address will be streamed live on the World Wide Web. 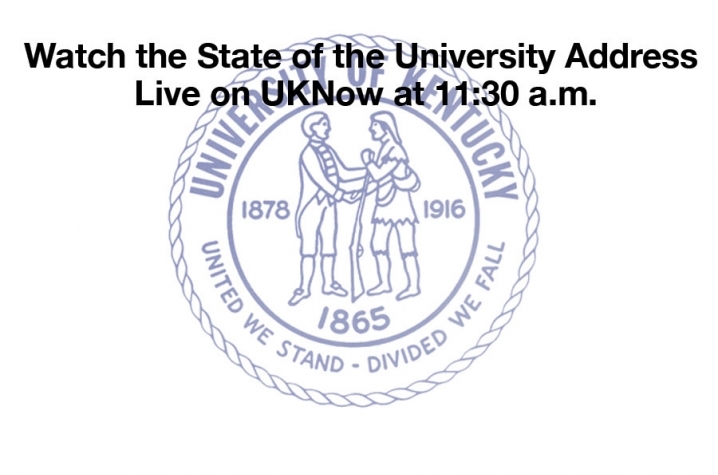 You can watch it right here on UKNow, today at 11:30 a.m.
University of Kentucky President Lee T. Todd Jr. and Student Government President Ryan M. Smith will deliver the address on the Patterson Office Tower plaza. All members of the University of Kentucky community are invited to attend. A free lunch will be served starting at 11 a.m. Many student organizations will also have tables set up, providing information about their missions and activities. 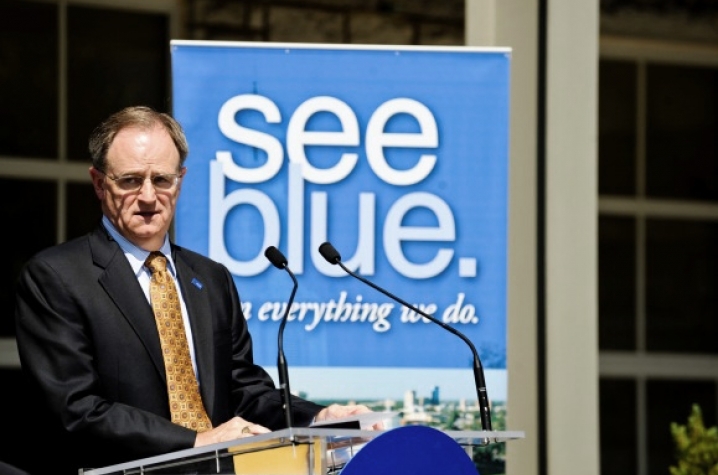 "This event offers us the opportunity to reflect on the strides we have made toward becoming a Top 20 public university despite economic difficulties, and to discuss goals for our future," Todd said in an e-mail to the campus community on Tuesday. "It is an excellent time to acknowledge the tremendous effort you -- our outstanding students, faculty and staff -- make every day for this University." NBC sports broadcaster and UK alumnus Tom Hammond will serve as emcee.